Kennards Hire provides end-to-end solutions for groundcare, agriculture, landscaping, garden or site maintenance. If you're a regular groundskeeper, a one-time landscaper or you've just built your own home complete with lawn, you're bound to need some expert groundcare tools. We have everything you'll need for tasks from earthworks to weed trimming, so come on in and check out the impressive range at your local Kennards Hire store. If your site is currently just a hole in the ground (or you want it to be), you'll need some serious grunt to move that dirt. For trenching and excavation, Kennards Hire has 1.5 tonne mini excavators. These digging machines are fitted with backfill blades, and can turn a full 360 degrees. They are light enough to not damage a residential driveway, and are fitted with non-marking rubber tracks. If you need manoeuvrability and versatility, a mini loader or skid steer loader is what you are after. To get into those tight spaces and still lift a bucket full of rock or earth, a skid steer loader, or Bobcat, will do the job. The four-in-one bucket gives you a lot of options, and the full roll over protection canopy will give you peace of mind. We have them available in standard and mini sizes. Mini loaders are a tradie's best friend. 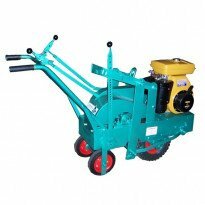 Versatile and robust, these machines can be accessorised with aerators, power rakes and rotary hoes. One mini loader and a few attachments will do just about any job. Mini loaders, or Little Bobcats, are stand on skid steer loaders, and provide a slim profile to get into narrow access ways. Dumpers can be necessary when moving high volumes of material, and tracked Hi Tip pedestrian dumpers are ideal. With incredible traction they will handle huge payloads without damaging turf and surfaces. If you are concerned about traction or turf damage on your site, ground protection mats will ensure safe operating and clean lawns. If you're trimming back the hedges, or doing some serious forestry, check out the range of equipment for hire at your local Kennards Hire store. Chippers are ideal for recycling green es into mulch for landscaping, or simply for easy removal. With a standard 100mm machine for tackling smaller es, or a heavy duty machine to mulch es up to 220mm thick, you'll get what you're after. The 220mm chipper will get rid of up to seven tonnes of green waste per hour, and features enhanced safety features and a no stress feed system. For modifying turf, Kennards Hire has a large variety of aerators, corers, lawn rollers and other tools available. There are attachments for mini loaders and tractors for the big jobs, and pedestrian models for the smaller or more specialised tasks. For cricket wickets and golf greens, even race tracks, scarifiers are available for hire. Ride on mowers are essential for tackling large areas of lawn, and models like the Groundmaster 4000D provide a huge 3350mm cutting width and 4.3 hectares per hour productivity. Slasher attachments for tractors will take care of huge paddocks, and if you need superb handling and manoeuvrability. For the kind of jobs that are spread over large areas, you may need a 4x2 utility vehicle, not only to chauffeur around the boss, but also to move much needed equipment and material from one side of the site to the other. There are also tractors available in different sizes to provide a good array of power and accessibility. Tractor options are available with a loader/backhoe fitted (depending on model). Topdressers and spray units are just what you need for topdressing, fertilising and spraying your lawn or other surface. For difficult cleaning jobs and large amounts of debris, self-propelled pedestrian vacuums and power brooms will make quick work of collecting leaves, cores, stolons, clippings and general debris. When you're set on making an improvement on the appearance and quality of your home, it's not always going to be within the realm of possibility. DIYers come with different sets of experience and expertise, and though you might know how to paint a home, you may not be able to install a bathtub - and unless you're a licensed electrician, you definitely won't be able to install a new light fixture. Landscaping and gardening, however, is one area where just about anyone can muck into to visibly improve their property. Whether you're hoping to get down to something as basic as a little bit of lawn care or weed control, or you're looking at more complex jobs to realise your landscaping ideas, with a little bit of forethought, planning and patience, there's no reason you can't create a DIY garden to impress your visitors. The only obstacle you might possibly face is not having the right equipment for the job. 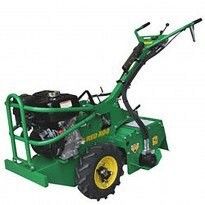 There's no guarantee you've got stump grinders, dumpers and blowers lying around in the garage waiting to be used. That's why Kennards Hire offers all this equipment and more at competitive prices, so you can make quick, easy work of the task at hand. If you're hoping to keep your yard, lawn or everything in between in tip-top shape, then you'll need the right gear from Kennards Hire. 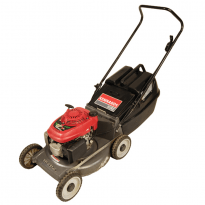 We have the essential equipment to make lawn care easy. Our lawn corers can help breathe new life into a lawn, by aerating compacted lawns and allowing air into the roots, letting deep fertilising and watering to take place, while our lawn dethatchers can cut out the dense thatch that blocks nutrients, air and water from reaching them. We even have manual rollers for those who like to really get stuck in when preparing soil. 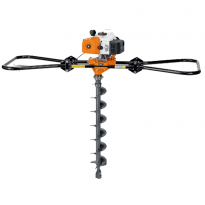 Kennards Hire also has both hydraulic and regular rotary hoes, as well as rotary tillers, to help you break up hard soil and make it possible to set up a prosperous, thriving fruit or vege garden in your backyard. If some of your local bush is growing a bit thick, our array of edgers and trimmers, running both on petrol and electricity, can make quick work of cutting them back down to size. Meanwhile, our equipment for weed control will ensure pesky weeds are removed as soon as possible with minimal hassle. From LPG flamethrowers and sprayers to wick wipers for greater accuracy in applying herbicide, our equipment is suitable for both ordinary homeowners and farmers. And of course, what would lawn care be without some mowers? Our dazzling array of lawn mowers ranges from ordinary ones and glass slashers to those as big as the huge 3,350mm width broad area mowers. It's not just the usual garden maintenance you're covered for with Kennards Hire - we also have all the equipment you'll need to create the garden of your dreams. If you need to prune your trees or remove some entirely, we have a line-up of pole pruning and chain saws to make the job an easy one. Best of all, hire on of our chippers afterwards and turn those excess es into compost for your garden to grow. When you're left with unsightly and inconvenient tree stumps and piles of thick wood, give our log splitters and stump grinders a go. They'll slice through wood like a knife through warm butter, leaving your garden or yard ready to be transformed. Once you're ready to shape your garden into the vision you have in mind, Kennards Hire can provide you with the machinery you need for that, too. We have a variety of equipment for when you need to transport soil, building materials or mulch around a landscaping site. From wheelbarrows and dumpers to mini loaders of a variety of sizes and attachments, Kennards Hire has the gear for any landscaping situation. No matter how green your thumbs are, Kennards Hire will make sure you have the equipment you need for your groundcare job. Make sure to stop into your local Kennards Hire store to consult one of our hiring staff and see what you might need to get the job done.